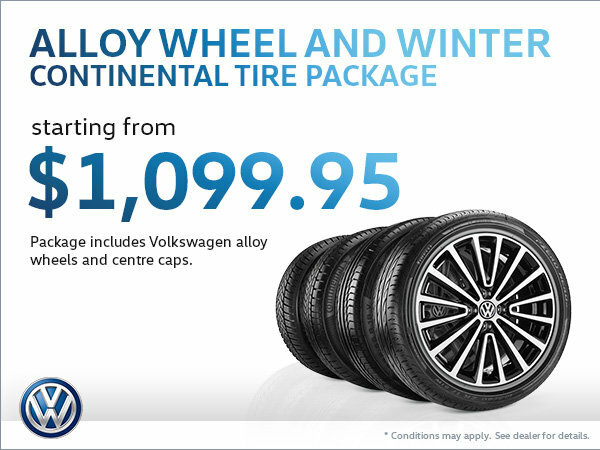 Home > Special Offers > Service & Parts > Get an Alloy Wheel and Winter Continental Tire Package! Get an Alloy Wheel and Winter Continental Tire Package! Get an Alloy Wheel and Winter Continental Tire package starting from $1,099.95! The package includes Volkswagen alloy wheels and centre caps.